BG Bridal Gallery is a one-stop-shop for brides to be, providing wedding planning services that cover every aspect of your big day, from the venue down to the videographers. 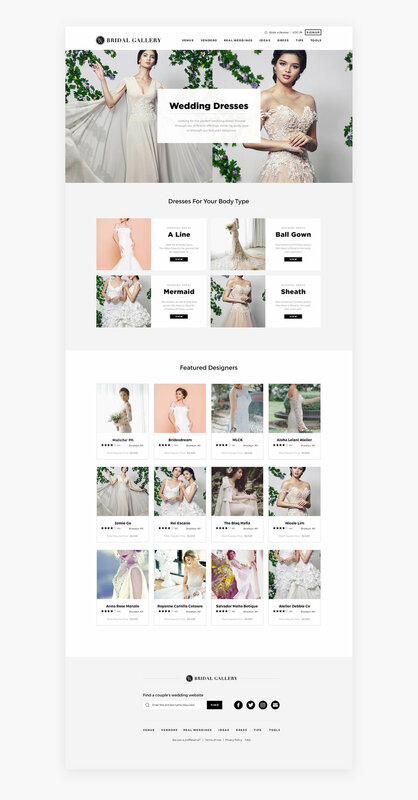 The website serves as a convenient alternative to bridal shows and expos, saving the brides from the hassle of booking professionals one by one. 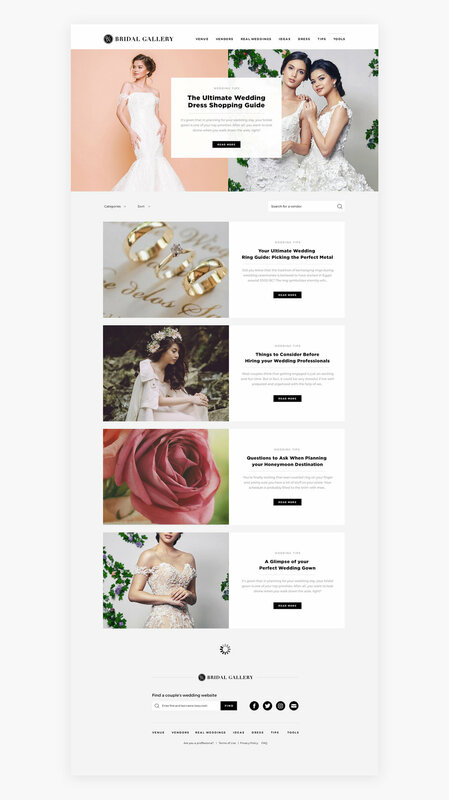 Agape Design Studio worked on the web design for BG Bridal Gallery, coming up with a minimalist look that complements the beautiful wedding imagery. 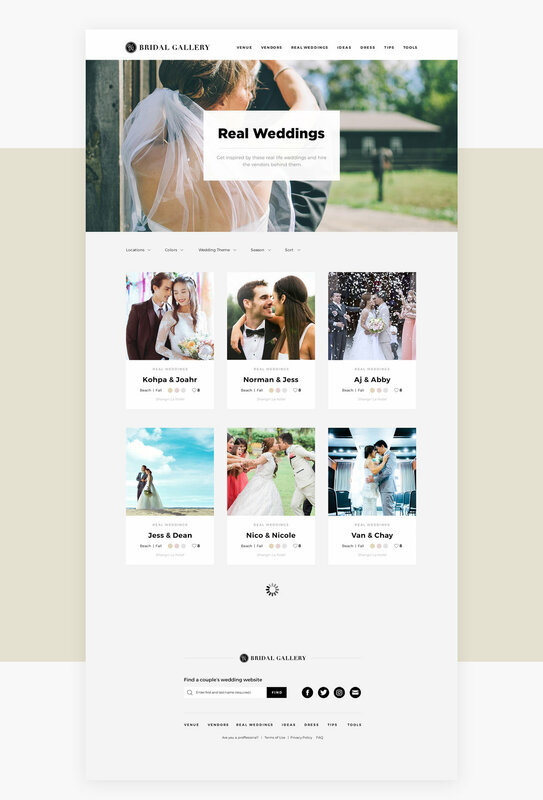 Considering how most weddings nowadays aspire to be "clean and minimal", we wanted to execute the same concept towards the UI/UX of the website. We applied the "Complexion Reduction" trend towards the design of the website, decluttering their existing website of all the unnecessary design elements. 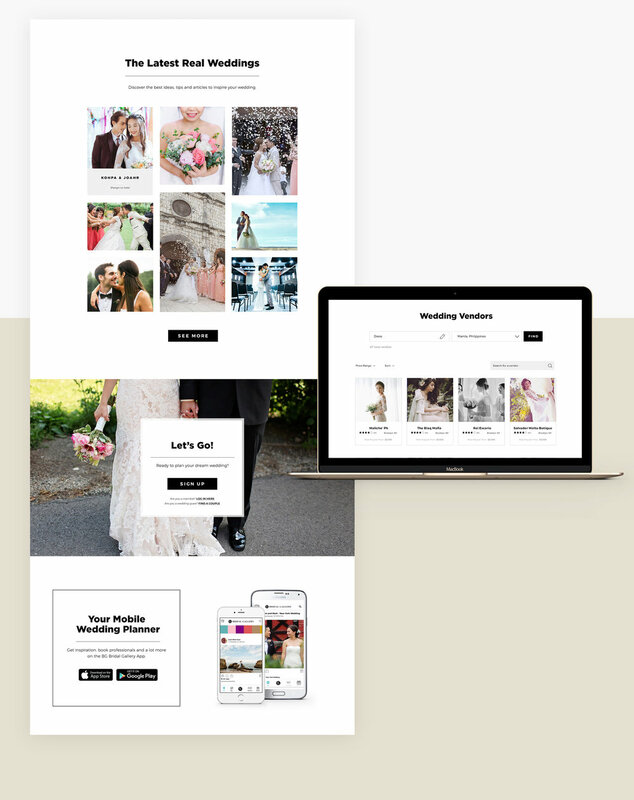 The result is a website with a focus on functionality and where attention is projected towards what matters most to the user, the gorgeous wedding imagery. Our most complex UI/UX work yet, the whole website consisted of over 40 unique pages and layouts. BG Bridal Gallery's showroom is located at Unit 312, 3rd Floor C2 Building, Bonifacio High Street Central, Bonifacio Global City, Taguig.